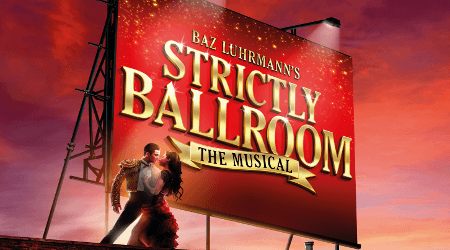 Catch the hit jukebox musical Strictly ballroom at the magnificent Piccadilly Theatre London! The critically and commercially acclaimed London show has won rave reviews amongst the theatre lovers. The stunning theatre has a huge occupancy of 1232 and categorized into three levels as Stalls, Royal Circle and Grand Circle. The Stall has the maximum seating occupancy and offer best view of the stage as it is the closest one. Piccadilly Theatre is situated at 16 Denman Street, London, W1D 7DY. Positioned in the heart of London behind the famous Piccadilly Circus and also near some of the most popular attractions such as markets of Covent Garden, huge greenery of Hyde Park, Green Park, Ritz Hotel and Royal Academy. You can spend some great time by having great food at the restaurants and bars. The stunning theatre is located an accessible location from various modes of commutation such as tubes, buses, taxis or cars. For the disabled patrons and their carers, discounted tickets are available. 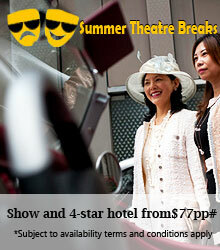 Theatre is equipped with Sennheiser infra-red system and headsets can be availed from the Box Office. In the year 1928, Piccadilly Theatre made its opening whereas designed by Marc-Henri Levy and Gaston Laverdet having Art Deco interior and plain façade. The medium sized theatre has occupancy of 1232. When theatre was built, it was the largest in London Westend. During the early days, theatre used to host ballet, drama and films. It was the first venue in Britain to run a talking picture The Singing Fool which stars Al Johnson. Theatre was transformed into a cabaret restaurants and renamed as The London Casino in the year 1936. During the WWII, a section of building was destructed by bomb. Theatre was reopened in 50s with first ever performance of Who’s Afraid of Virginia Woolf? A Streetcar Named Desire. Some of the recent notable productions at the Piccadilly Theatre are Guys and Dolls, Jailhouse Rock and Grease and Ghost the Musical! Now experience the magic of Jersey Boys at the stunning Piccadilly Theatre!